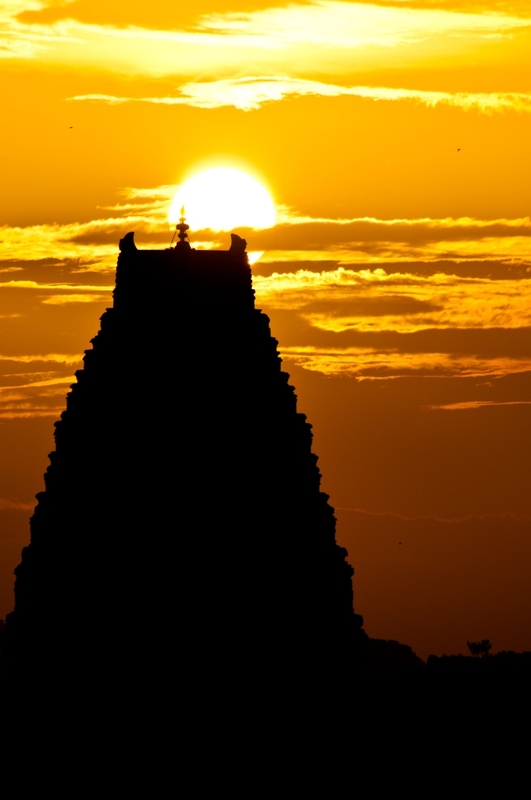 Hampi – The Vijayanagar Empire. It is a village about 850 kilometers from Mumbai, it lies close to the town of Hospet in the Southern Indian state of Karnataka. Hampi is less a medieval ruin site and more a wonder of nature. The views of the landscape here are full of boulders and hills of boulders in various sizes and shapes. 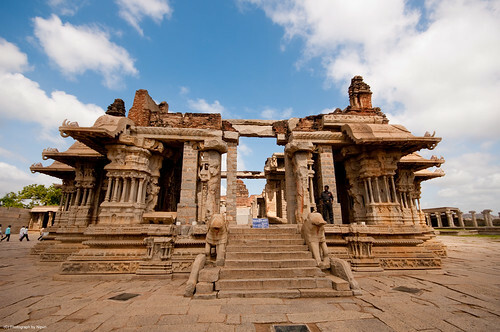 Hampi is a site located within the ruins of the Vijayanagar Empire. 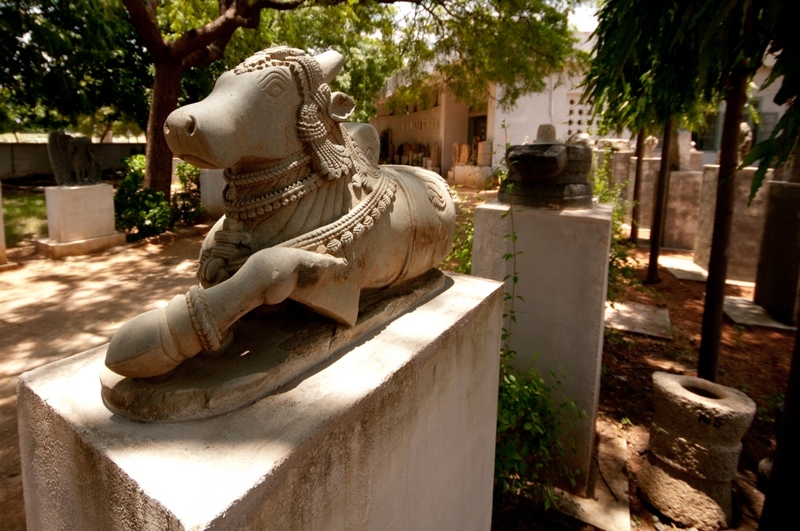 It is older than the medieval city of Vijayanagara and is still of much religious importance. 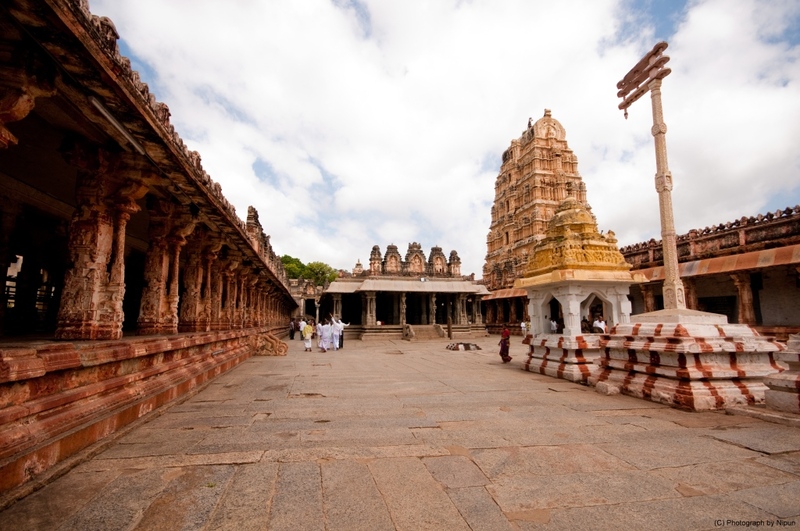 Home to the Virupaksha Temple – the main center of pilgrimage here and dedicated to Lord Shiva. On the banks of The Tungabhadra river which flows through Karnataka into Andhra Pradesh, Hampi is not just a religious stop for the Indian traveler but is also a place of wonder and amazement for the foreign tourist. Below is a photographic account of what I saw at Hampi and also what I think of it. 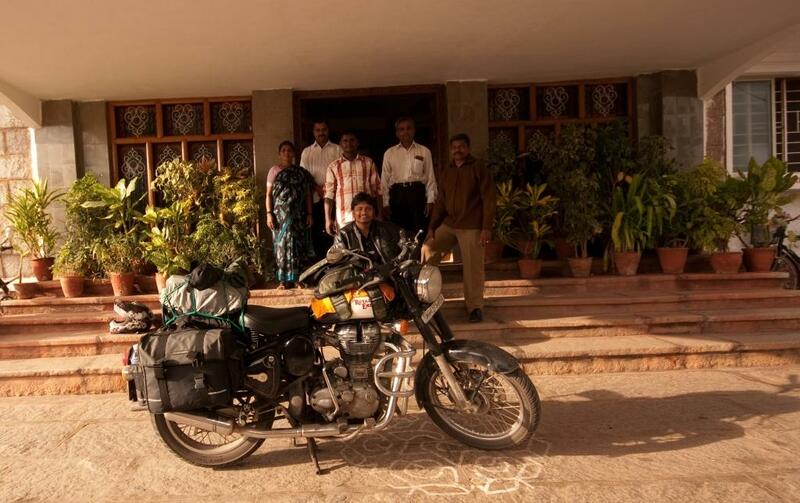 On two wheels, one is never alone: My bike ride started from Pune, 600 Kilometres from Hampi. I chose to ride on the NH4 till Hubli and from there another 170 kilometres to Hampi. 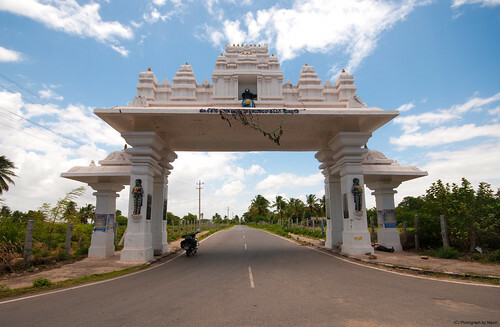 As one rides through the surrounding towns like Gadag and Hospet taking one towards Hampi, one starts to feel the excitement building up inside. 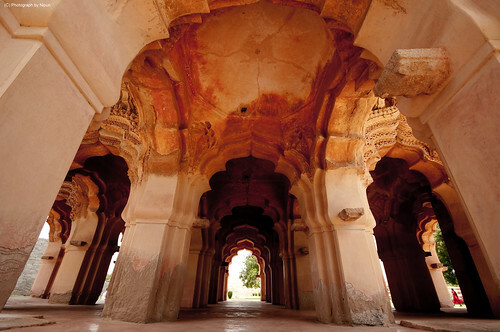 The entrance to Hampi does rather well to instil even more wonder into one’s mind. 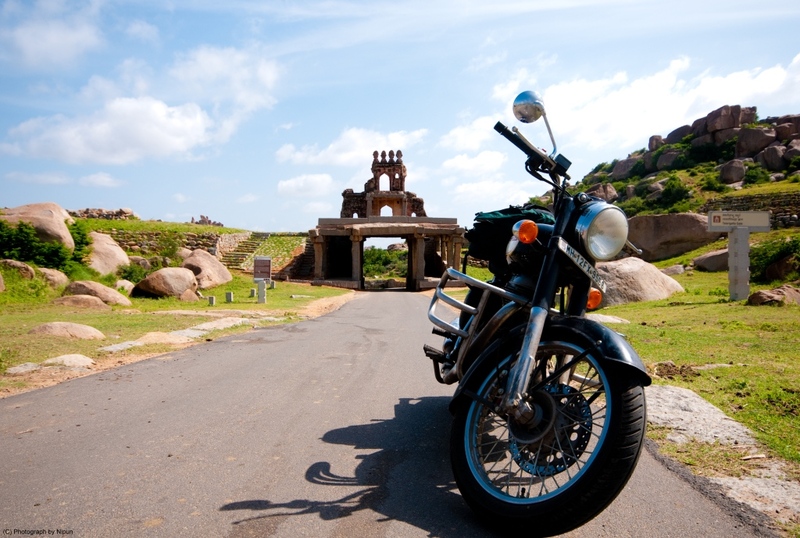 The best season to visit Hampi is around September to November I would say, it’s neither too wet nor too hot. The Virupaksha Temple from the inside. 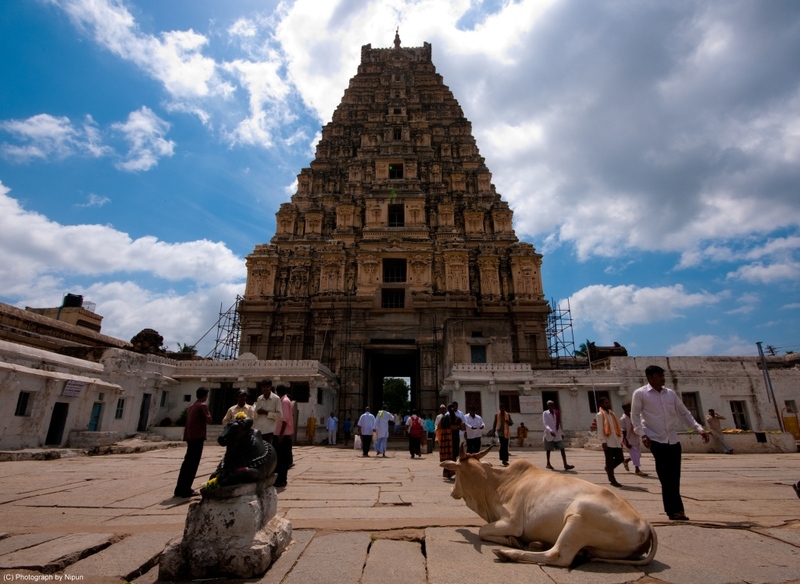 Major monuments in Hampi require you to buy a pass which is managed by the tourism department. One drawback being that the passes are pretty expensive for foreign nationals when compared with tariffs for Indian citizens. Beautiful architecture and ruined rock – cut structures all claim the land. On one hand, temples of the Vijayanagar Empire poke ones spiritual inner self and on the other the awesome expanse of ruins spread as far as the eyes can see make one wonder, how? This structure is in danger of falling apart, with every monsoon, more steel pillars are used to support and keep the structure upright. This Chariot is by far one of the most enchanting pieces of carvings in Hampi. It is believed that the wheels are capable of revolving. The Museum has a vast collection of miniature carvings up on display. Visiting the museum is a good way of spending a lazy afternoon here. Also, next to the museum lie the grand elephant stables of the royal elephants. The Lotus Mahal is an awesome amalgamation of religion and culture. Huge arches on all sides and pyramidal towers. 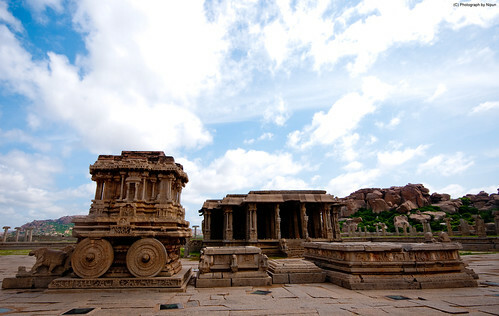 It is the best preserved stately monument at Hampi. Abode of the royal elephants of the ruler of Vijayanagaram. Hampi and Kamalapur, two neighboring villages and the roads between them are lined with these imposing stone cut gates built hundreds of years ago. In the evenings, the beauty of the place just reaches a whole new dimension. The sheer Magnitude of everything around, from the crazy rock formations to the imposing Gopurams of Temples just keeps one on the feet. Walking trails and riding the roads through villages to get to even more sites of splendour. Street photography in India is not the toughest of things to do. The people of India seldom refrain from posing for a picture. This group of effervescent friends were quick to ask me for a picture. What’s more, they didn’t even ask for a copy! Strange things happen in India. Karnataka State Tourism Development Corporation. The rooms are neat and there are three types available, Regular, Deluxe and Super deluxe. There is also the Presidential suite for the slightly extravagant. Rs 3500 per night and President Pratibha Patil’s room is all yours! The food is decent and your waiter will be more than happy to help out with special requests. The staff at this KSTDC resort at Kamalapur, 4kms from the Virupaksha temple made my stay as comfortable as could be. Right from warning me about the scorpions in the bathroom to making sure I had well cooked mutton for dinner every day. Eeveryone here made sure that I took back memories which I would cherish for a log time. Like every adventure, this solo bike ride was a learning experience. Not only did I meet a lot of different people, but also, learnt that life is beautiful and travel is the way to appreciate ones existence. 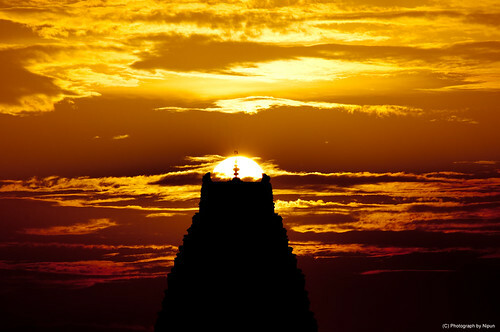 The Virupaksha Temple gopuram cradling the sun during sunset. This entry was posted on April 29, 2011 by Nipun Srivastava. It was filed under Motorcycle Trips and was tagged with biking, india, motorcycle, photography, Travel.